I wanted to complain that I needed to wear jeans and a jacket. 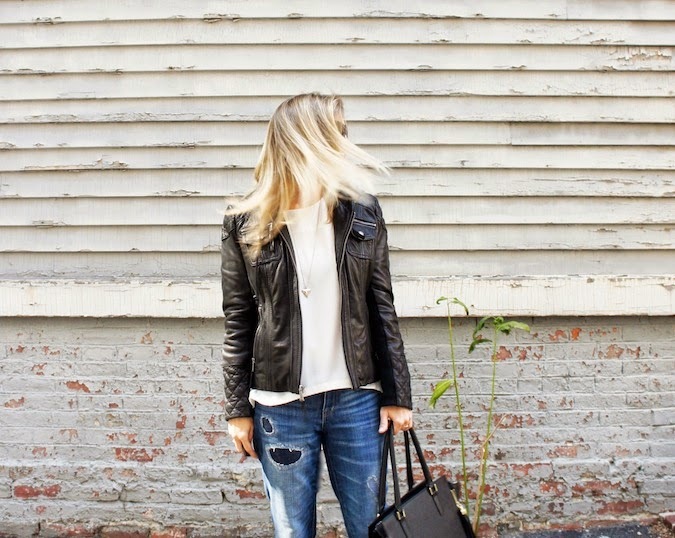 I mean, it's a little hard to admit that summer is over and it's officially Pants Weather, but if it means I get to spend the next few months in cozy boyfriend jeans and ultra soft leather, then I guess I can live with that. Not that I didn't wear jeans and sweaters in August, as it was. This is New England, after all! you're too cute- i've been trying to wear more pants lately as well! ha miss you!!! Wait, YOU, wear JEANS???? I love it! 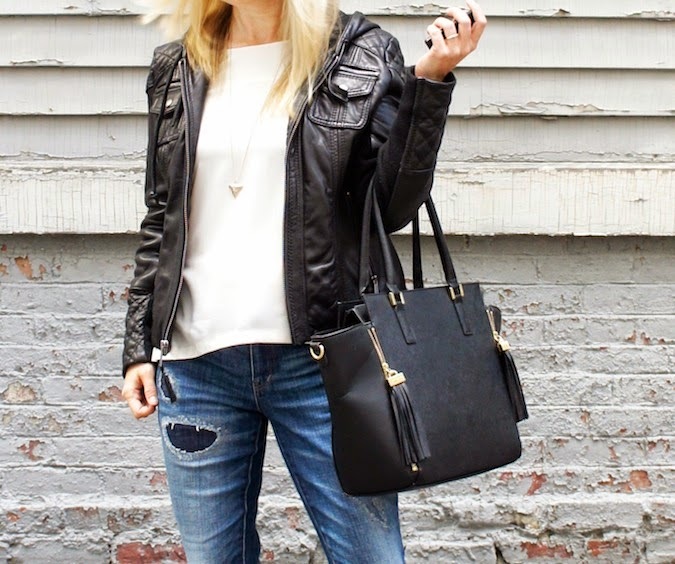 This combination of distressed denim and sleek leather is ideal for fall. The wardrobe transition is beautifully accomplished with those patterned heels and dainty gold details. Thanks, G! 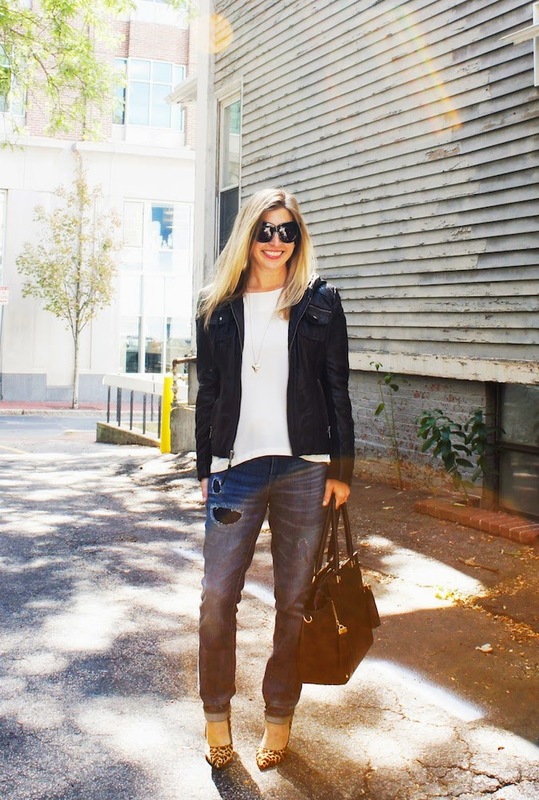 I do love me some basics :) So you know I am loving normcore!